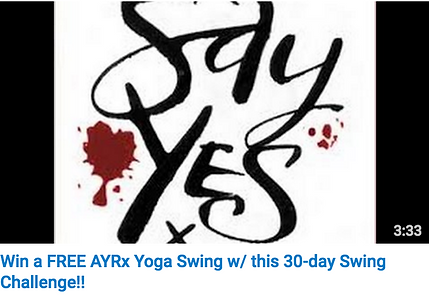 Win a FREE yoga swing w/ this 30- day swing challenge!! Take our 30 day swing challenge for a chance to win a FREE swing!! Share your experience in the comment section of the video (every day). I’ll chose ONE PERSON to sit down with me for a 5 min. video interview to share what your’ve gained from the practice (this can be done from any where with video chat or Skype). Only ONE PERSON will win the free swing based on their level of participation, feedback and testimonial. 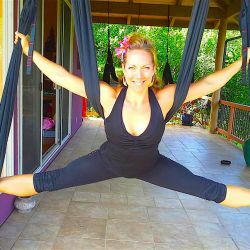 If you don’t already have one of my yoga swings, get one!! I can ship it to you right away (anywhere in the world) so you can practice at home.